The HD-690CFX 6X9” coaxial speaker is designed and built for the unique demands of the car audio environment. It is built to deliver the truest, in-car sound possible, the most accurate and natural performance ever-the type of performance that has earned our design team countless awards and unanimous praise from around the world. Smooth and accurate highs. Our exclusive use of soft dome Tweeters combine to deliver superb detail and incredible clarity. 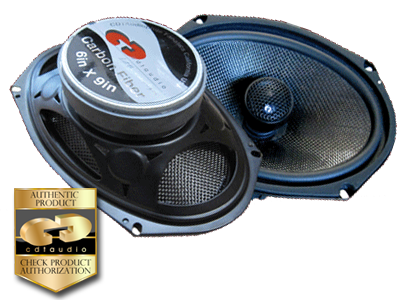 The 6X9” woofer is smooth with a fast deep clean sound into the lowest bass frequencies. The design goal for this system is to deliver optimum high-definition sound quality with easy installation at an affordable price. Ellipse (Exclusive of mounting tabs)6" X 8.625"